African American and African Studies (AAAS) is nationally renowned for its teaching and research on the Black experience in the U.S., Africa and the rest of the African diaspora. 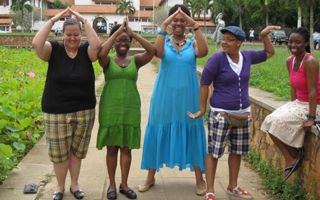 Ohio State has one of the largest African languages programs (Swahili, Twi, Somali and Yoruba) in the U.S. and wide-ranging study abroad programs, including the South Africa Study Program; Afro-Brazilian Culture and History Program; Global May Uganda; and Intensive Swahili Language and Culture Program in Tanzania. The AAAS major is designed to critically inform students about the social, political, economic, historical and intellectual experiences of Africans and their descendants throughout the world. Our international are committed to interdisciplinary thinking in exploring the role of race in society and how race relates to class, gender, nationality, ethnicity and ideologies on a global scale. For more information visit the Department of African American and African Studies website or view the university's major curriculum sheet. Have a question about African American and African Studies or want more information? Let us know. The Somali Minor provides students the opportunity to study language, history, literature and culture of Somali speaking peoples of Eastern Africa. The Swahili minor provides students the opportunity to study language, history, literature, and culture of Swahili speaking peoples of Eastern Africa. Swahili is offered at beginning through advanced courses and fulfills the university’s GE foreign language requirement. Study abroad is available in Kenya. TauVaughn Toney talks about African American and African Studies from the American Revolution to hip hop. We provide students with a unique opportunity to study the transnational Black experience in a variety of disciplines. Students are able to approach their areas of study from a variety of perspectives as they select courses from a diverse, interdisciplinary and transnational curriculum. The AAAS undergraduate curriculum stresses the skills necessary to think critically and deeply, argue persuasively, problem solve effectively and write clearly. 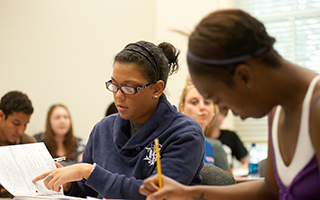 Students are exposed to theory and research in a variety of subject matter and are encouraged to engage in active research and service beyond the classroom. Exploration of the political, social and economic history of colonial and independent African countries, using a variety of interdisciplinary approaches and material. Examination of contemporary black urban experience focused on the impact of persistent residential segregation, increasing class polarization and the global force of hip hop culture. Examines the aesthetic and historical evolution of rhythm and blues: black music tradition including bebop, rock and roll, and hip-hop, redefining American popular culture post-WWII. AAAS offers exciting study and travel abroad programs to Southern Africa and West Africa which provide an innovative mix of classroom learning before the trip and additional faculty guided instruction in Africa. 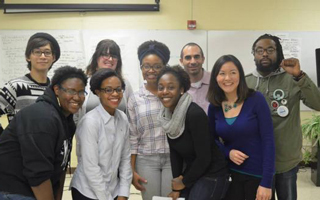 Students interested in giving back to the black community may earn course credit while volunteering at a local service agency and taking a weekly seminar focused on urban programs and solutions. 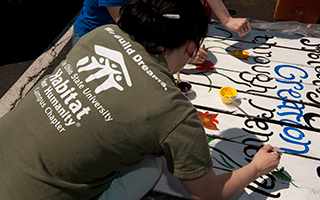 Honors and Scholars programs create an environment of intellectual support and stimulation within a close-knit community of high-ability undergraduate students. The study of foreign languages and cultures is an efficient means of helping students become educated, productive, and principled citizens of their nation and the world. Graduates of the African American and African studies program are prepared for further study and for employment in such areas as state and local government, social agencies, teaching, business, and the arts. Past students have become college and university professors, lawyers, business executives and public school teachers. AAAS graduates have chosen such jobs as habilitation supervisor with the Cuyahoga County Board of MR/DD, associate publisher with Writer’s Digest, coordinator of the Ohio Arts Council and director of the Columbus Urban League.